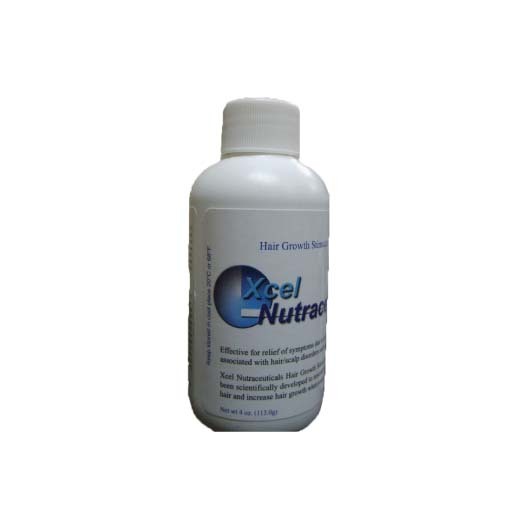 Xcel Nutraceuticals All-Natural HGS has been scientifically developed to support healthy hair growth in black females. The use of Xcel HGS will deliver moisturizers and nutrients to the scalp and this will help aid the recovery of hair loss due to popular hairstyles and natural causes. Over the past five years based on customer responses, all natural based Xcel Nutraceuticals HGS has shown outstanding success in black females for the support of hair growth and hair recovery. Xcel HGS contains a proprietary mineral/amino acid complex transport system that when massaged into the scalp supply nutrients and essentials that are known from published scientific studies to support hair growth. Xcel HGS contains vitamins that are essential for hair growth.